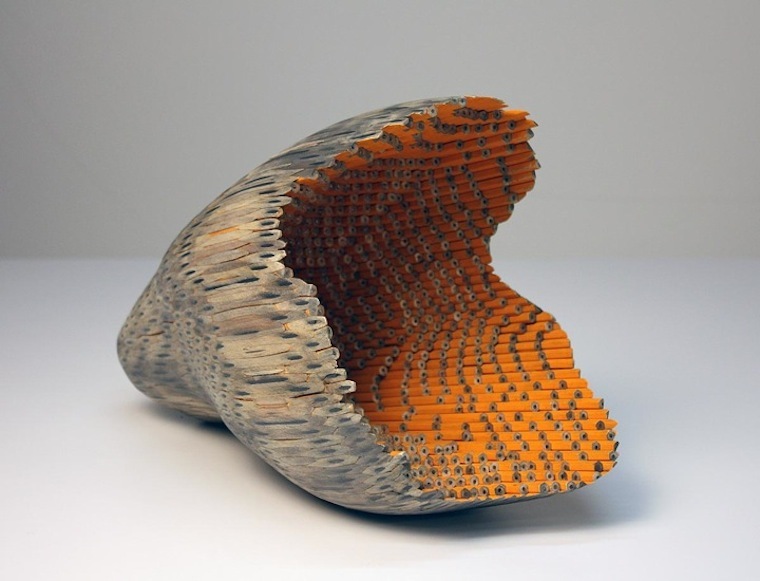 In her sculptures Jessica Drenk transforms familiar objects – such as books, pencils and toothpicks – into nature-inspired forms and patterns. 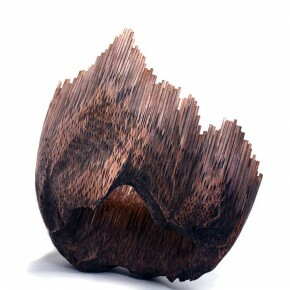 My favorite is definitely Jessica’s “Implement” series. 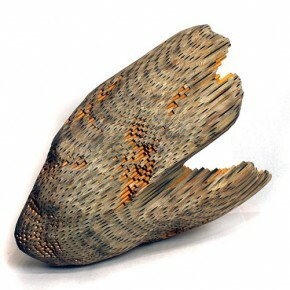 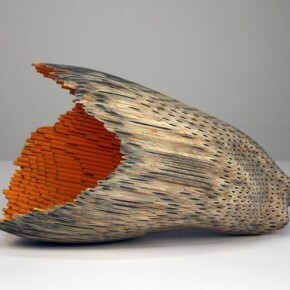 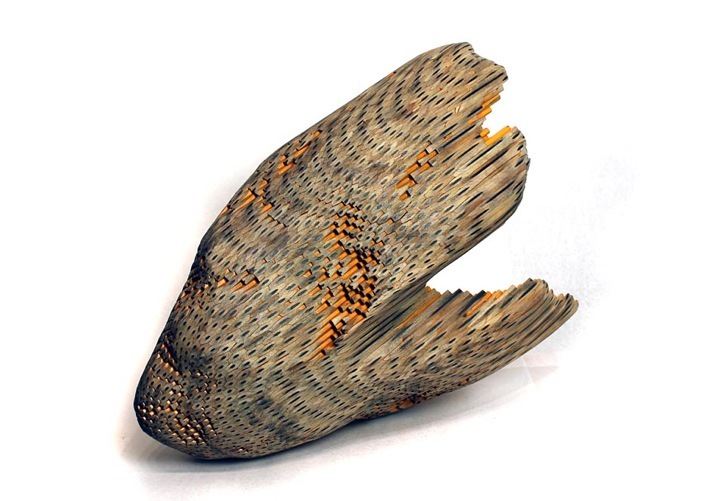 For this series she used glue and pencils to create nature inspired pencil sculptures. 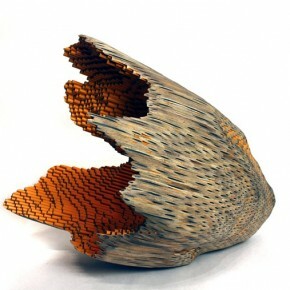 Each one is made of several thousands of pencils. 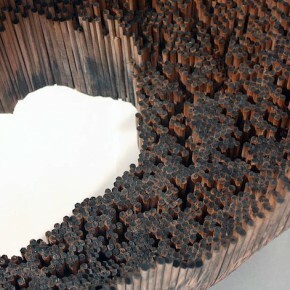 After being glued together the artist applies a belt sander among other power tools before finishing each piece by hand. 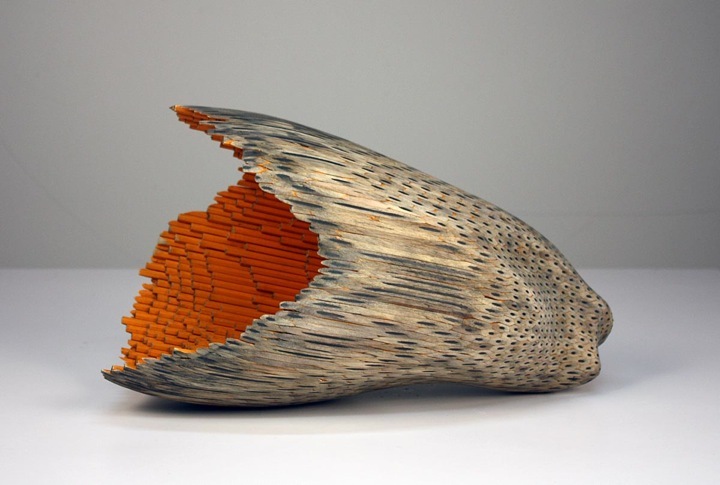 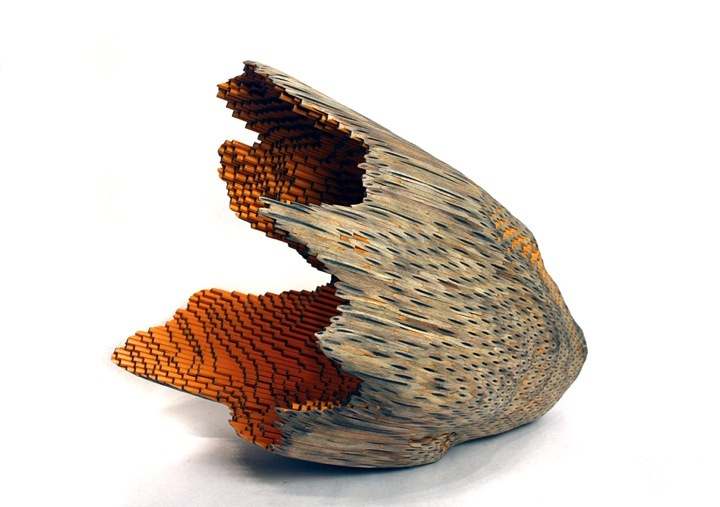 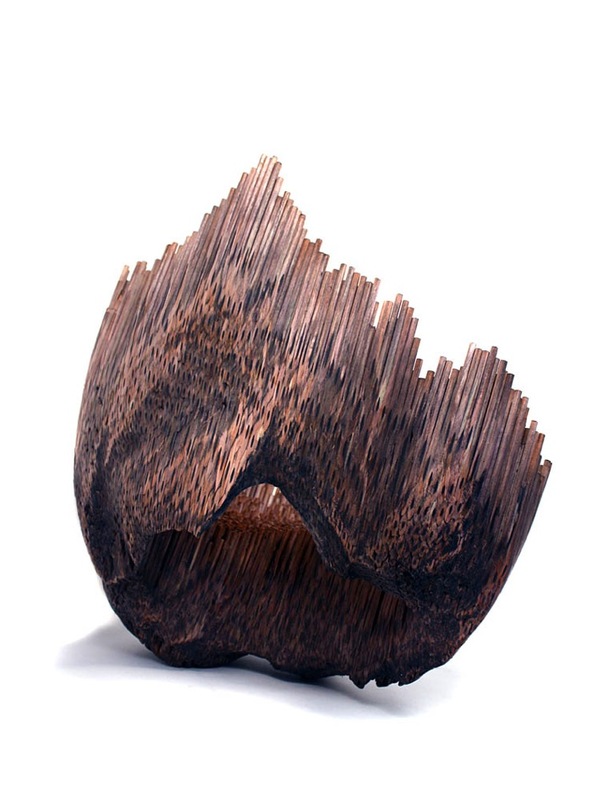 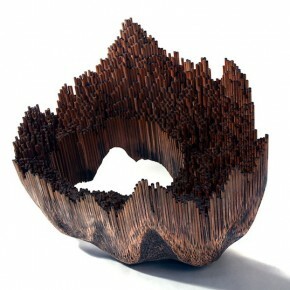 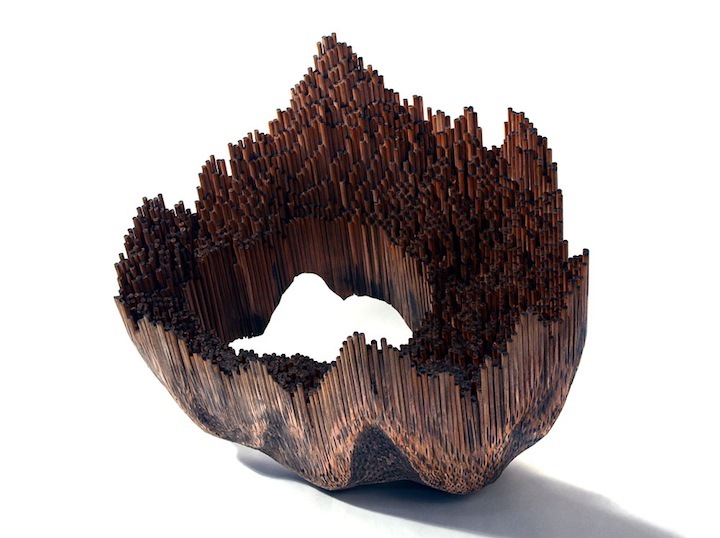 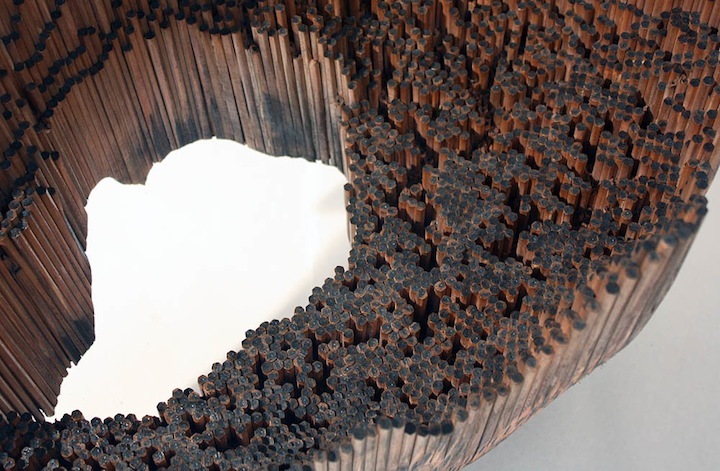 Jessica’s elegant pencil sculptures blur, deconstruct and inverse the boundaries between natural and man-made things.